Hey Everybody! 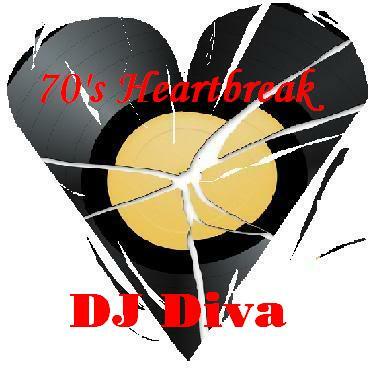 This week’s mixtape is all about 70’s heartbreak and definitely for old school heads!!! ( a masterpiece in my eyes) (Warning…I was feeling it so the mix went over the 80min mark…can’t burn it….sorry lol Holla if you want it for a cd) I picked some of the songs that used to make me cry, my momma cry and my daddy cry. I’m sure Grandma listened to quite a few of these too! This is the kind of music you cry in your beer to…Heineken preferably. Some classics..some mainstream…some underground.. This was a good selection of music, keep doing your thing !! Reminded me of something that Luv Bug Starski did back in the 90’s..
Dj Diva ..you da best mama. Peace and Blessings to you & your family. I can not tell you how you how much I have enjoyed your mixes. My question is how to purchase the majority if not all of them, especially your most recent 70″s Heartbreak…Girl you are are making it do what it do, and this brother is loving it. You be having the flava mixes on the real but for the life of me i can’t download ANY of these joints?! hi,your mixes are really great.but could you do some mixes from the streetsounds scene back in the 80s.there was some great,tracks like colors,pay back my love.c.abrahams,fatback band,darlene davis, willie colon,joyce sims,zapp.etc etc.